We understand the fundamental difference between apps and other media. Having designed interfaces since before the advent of apps, we have watched the inception and evolution of this new medium and can advise clients on how to make each app work for them, and exploit the most appropriate functionality available in each device. Notable projects have included creating prototype video player apps for clients in the broadcast industry, a mobile gaming portal and online whiteboarding and collaboration apps for Jibe Mobile. 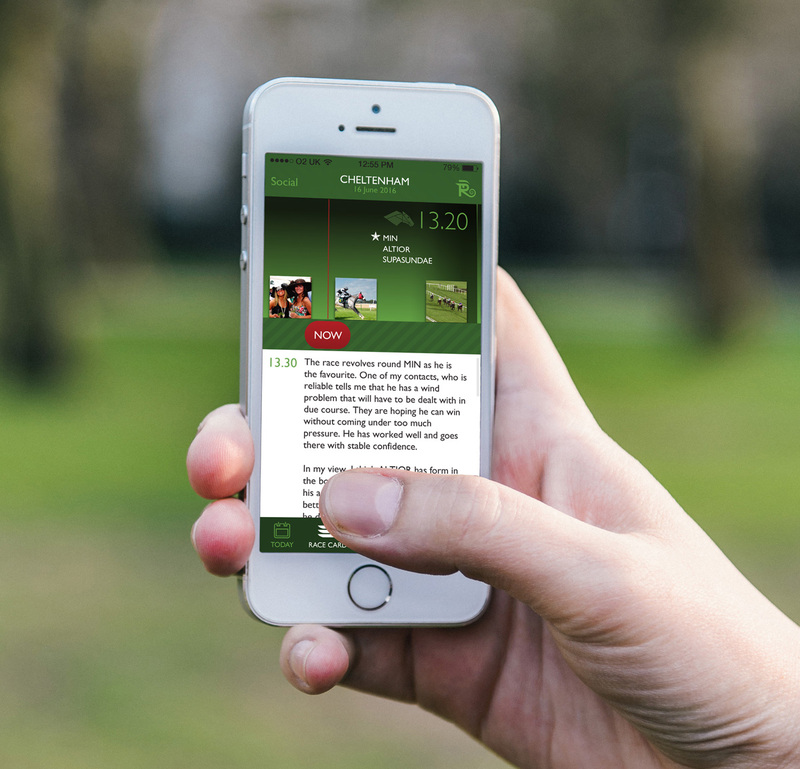 Some examples of mobile apps we have designed include Racing Eye – a horse racing app, that provided a localised social network based on race meets, with tips from industry insiders. We created MyPetPortal with the expert developers at Tap Digital. 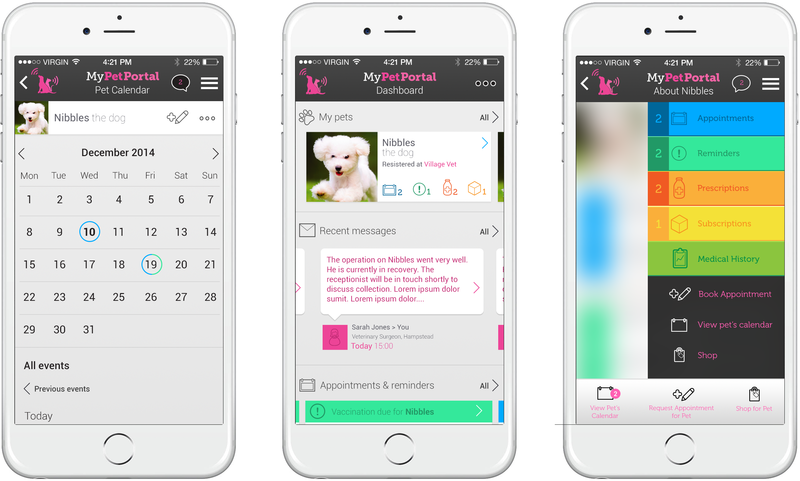 The app lets pet owners keep in touch with their vet, including realtime updates when Nibbles is having surgery, and track their pets health and wellbeing on a day to day basis. We also work with brand activation agencies on the design and production of apps for use in brand kiosks and physical installations. Current projects include an experimental app called PACE, which will bring a whole new approach to the combination of exercise and music.